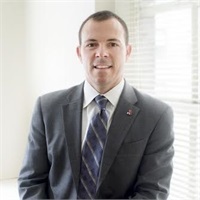 Joe Sciabica entered the financial services and insurance industries in 1994, and holds designations as a Certified Financial Planner®, a Chartered Financial Consultant®, and an Accredited Estate Planner. He is a member of the Leadership Team at Wealth Advisory Group LLC, where he helps to train and develop associates within the firm. Joe is a former Director for the NYC Chapter of the Society of Financial Service Professionals. Currently he is an active member of the National Association of Insurance and Financial Advisors (NAIFA), the Financial Planning Association (FPANY). He is licensed for the sale of insurance and investment products in several states. Joe is a founding member of the Regis Financial Network (RFN). As an affinity group of the Regis High School Alumni Association, The RFN promotes opportunities for networking, professional development, and idea-exchange for Regis alumni working in the financial services industry. Joe is a frequent industry speaker, and in 2013 was appointed to be one of 14 national trainers for Guardian. Joe received his B.S. in Marketing from Fordham University in 1994.